A 3,003 square ft four-bedroom apartment off Orchard Road has been sold to an overseas buyer for S$19mn (US$15.7mn), setting a new record in property prices. 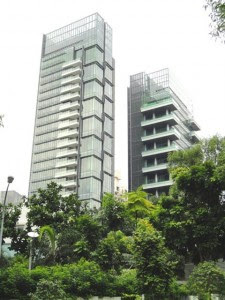 According to The Straits Times, the Marq on Paterson Hill already held the record of highest price per square foot at S$5,842 (US$4,847) when it was launched in 2007. With the newest sale, the price per square foot jumped to S$6,400 (US$5,310). The Marq is a freehold condominium comprising 66 units ranging in sizes from around 3000 square ft to 15,000 square ft in two 24-storey buildings, one of which features private pools for all units. The four-bedroom sale is believed not to include a private pool. Despite a few high end sales, the luxury home market in Singapore is declining. According to real estate services firm, CB Richard Ellis, Singapore luxury home prices declined by 1.7 per cent in April-June from the preceding quarter. Average rents fell by 1.9 per cent as completed units came onto the market. “Tightened mortgage lending and rising interest rates continued to impact on buyer demand in most Asian markets in the second quarter of 2011,” noted CBRE.